Class 58s were obviously a common sight on freight trains, but not usually like this! 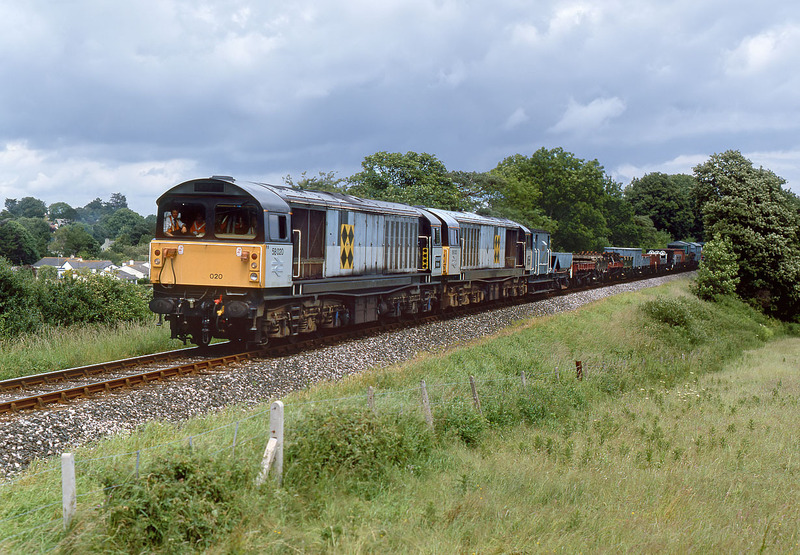 58020 Doncaster Works & 58002 Daw Mill Colliery pass Galmpton on the Paignton & Dartmouth Railway under a threatening sky on 19 June 1993 with the 13:35 Paignton to Kingswear freight train consisting of a motley collection of preserved goods wagons. Needless to say this was in connection with the line's Diesel Gala.